Monarch Air Group provides private air charter in Flint, MI. Our clients benefit from top-notch service, unrelenting dedication to safety, wide selection of aircraft, and years of experience in chartering private jets. To obtain a free quote, please use our online quoting tool provided below, or call toll free 1-877-281-3051. Monarch Air Group provides private jet charter flights in and out of Flint, Michigan, USA. Situated along the Flint River, Flint is an industrial city in the U.S. state of Michigan. 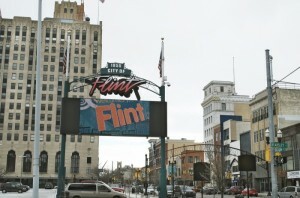 With a population of 102,434 people, Flint is the seventh largest city in Michigan. It is renowned for being the birthplace of General Motors (GM). The most notable tourist attractions include Genesee Recreation Area, Kearsley Park, Alfred P. Sloan Museum, The Flint Children’s Museum, Crossroads Village & Huckleberry Railroad, and some others. Flint is served by Bishop International Airport, which provides private charter flights to both business and leisure travelers worldwide. 10. MBS, MBS International Airport, Saginaw, MI, United States. 11. MOP, Municipal, Mount Pleasant, United States. 12. PHN, St Clair County Intl, Port Huron, United States. 13. PTK, Pontiac, Pontiac, United States. 14. TEW, 655 Aviation Dr, Mason, MI 48854, United States. 15. YIP, Willow Run, Detroit, MI, United States. 16. YQG, Windsor, Windsor, Canada. 17. YZR, Sarnia, Sarnia, Canada. 1. Riverfront Student Housing, 1 Riverfront Center W, Flint. 2. Holiday Inn Express, 1150 Robert T Longway Boulevard, Flint. 3. Super 8, 3033 Claude Avenue, Flint Township. 4. Riverfront Student Housing, 1 Riverfront Center W, Flint. 5. Holiday Inn Express, 1150 Robert T Longway Boulevard, Flint. 6. Super 8, 3033 Claude Avenue, Flint Township. 7. Riverfront Student Housing, 1 Riverfront Center W, Flint. 8. Holiday Inn Express, 1150 Robert T Longway Boulevard, Flint. 9. Super 8, 3033 Claude Avenue, Flint Township.